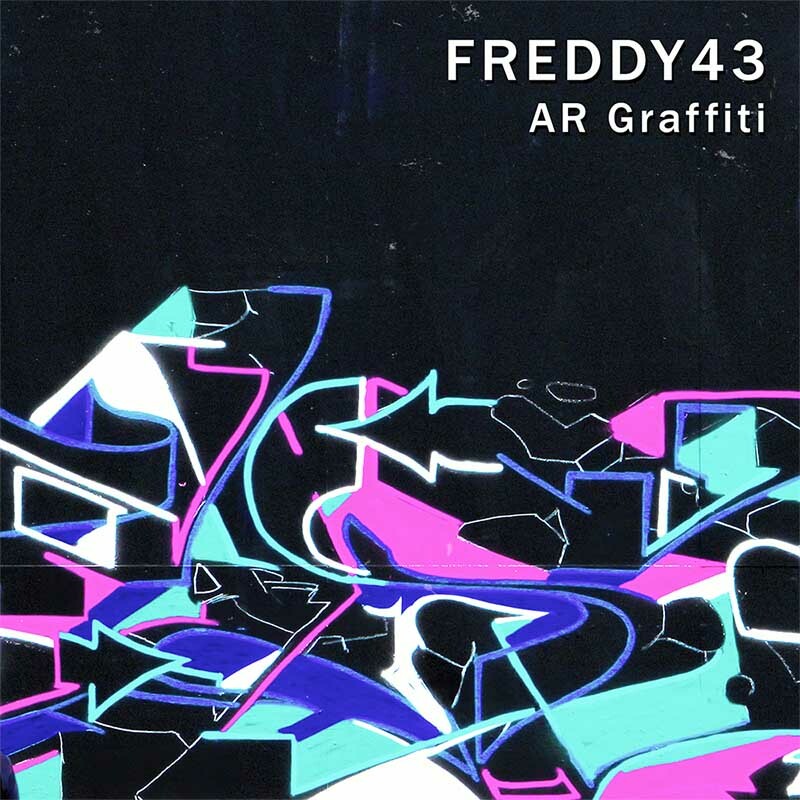 In collaboration with Gronings artists collective WERC, Freddy43 today launches the ‘AR Graffiti’ project. ‘AR Graffiti’ is a self-contained work of art with an accompanying ‘music single’. The project is an initiative of Jelle Valk (WERC) and bridges the gap between the digital world of augmented reality and graffiti in public space. AR Graffiti is a study of one hundred pieces whose outline is taken as a given, which together form one new piece. All varying layers have been sprayed on the wall, scanned, digitized and converted into video animation. By projecting the layers back onto the wall, the layers of the graffiti pieces beneath the paint are brought back upon the surface. This makes it possible to endlessly vary designs by using the different elements from different designs. With AR Graffiti, WERC wants to apply the principles with which they work within digital media to graffiti. It is an artistic research into the added value and possibilities of augmented reality onto traditional graffiti. The biggest differences between those are the time element and the added digital layer. A graffiti piece is a snapshot and static character, augmented reality is dynamic. AR Graffiti makes it possible that different designs can exist side by side, onto each other, all at the same time. The sound for the augmented reality graffiti piece was made one-to-one for the different layers and animations and produced by me. I also created the audio for the artwork video, which is available as a separate single in various online music platforms like iTunes, Google Music, Deezer.